Bright reds and greens. Christmas if you have it. No burgundy or forest. Hints of metallics are okay. Background should be white on white or plain white or VERY low volume that reads as white. Please no cream. You will be making four 6.5 x 6.5 squares. Please do NOT sew them together to make a 12.5 square. 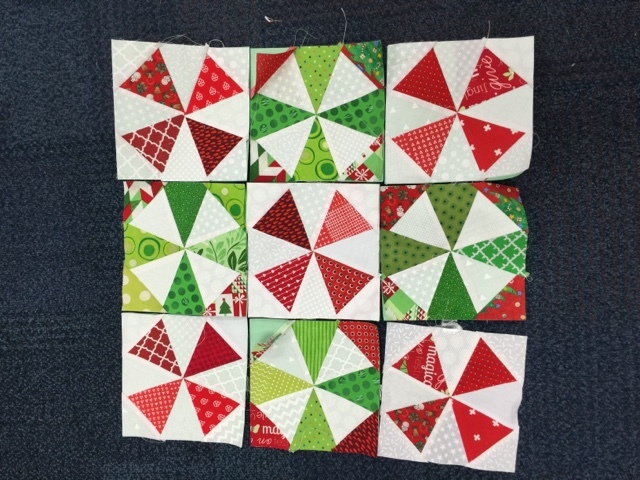 Blocks should be scrappy and two red blocks should be diagonal stars with white corners. The two Green blocks should be crosses with colored corners. I will post examples of my blocks on Instagram.